Climate change has been associated with everything from longer heat waves to foot shortages to the erosion of ice in Antarctica and Greenland. Now, researchers have pinpointed another ramification of climate change - an increase in the potential pandemic of bird flu. 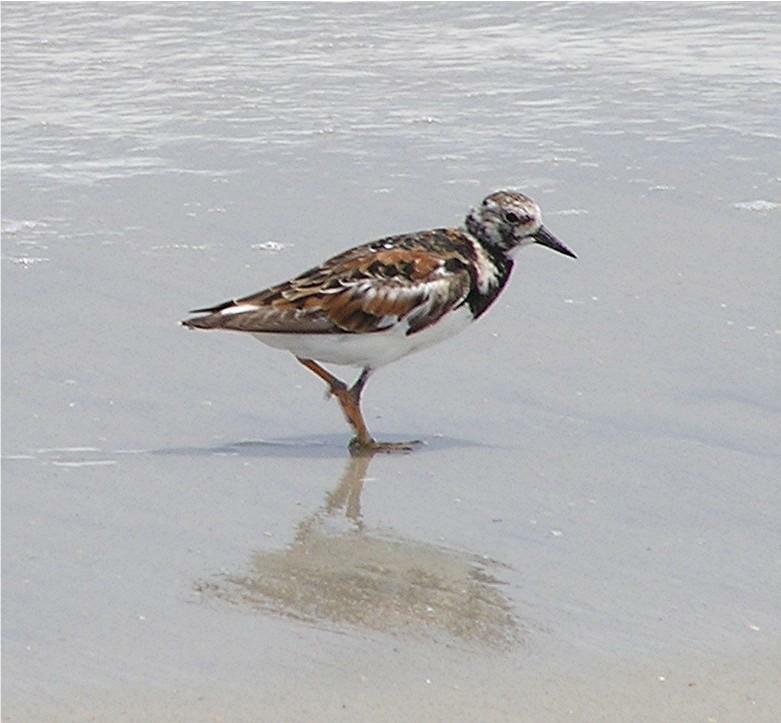 Pejman Rohani and Victoria Brown, ecologists from the National Institutes of Health and the University of Michigan, used a mathematical model to explore the consequences of interactions between shorebirds and the horseshoe crab at the Delaware Bay. Every year, thousands of birds stop at the Delaware Bay between New Jersey and Delaware. The annual stopover is a crossroads for several bird species traveling between continents. Climate change can affect their timing there by weeks, and could potentially increase the avian infection rate. The birds gather there to feed on horseshoe crab eggs, and their timing coincides with the horseshoe crab mating season. The researchers found that, if the birds arrived late or early by a matter of weeks, influenza infection rates skyrocketed. The birds' timing is affected by seasonal weather patterns - which can be changed due to global warming. Inversely, if the timing of horseshoe crab mating season varied significantly due to climate change, the amount of birds there would drop significantly because of a lack of food. That, in turn, would lower the transmission of avian flu. Avian influenza refers to any of the Type A bird flus. While it may not necessarily infect humans, it certainly affects birds found in nature, as well as domestic poultry and other bird species. Earlier this summer, for example, Mexico killed 8 million chickens in order to stem the spread of H5N1. In addition, though humans may not necessarily be infected with avian flu, the strand H3N8 had killed 162 seals over the course of three months in 2011. Every past human influenza pandemic has shared genes with an avian influenza virus. And, of course, the so-called bird flu - H5N1, which was discovered in 2003 in humans - has infected at least 600 people so far, and has killed at least 300. The study was published today in the journal Biology Letters.